Blogmas day 14//Stationery Must Haves! Today has been a great day, and for some reason this Monday is better than a normal Monday which I do always dread. It’s the last week of college then 2 weeks off I am the only one excited? I’m hoping not!! Plus there’s only 11 days until Christmas, it’s all happening so quickly. 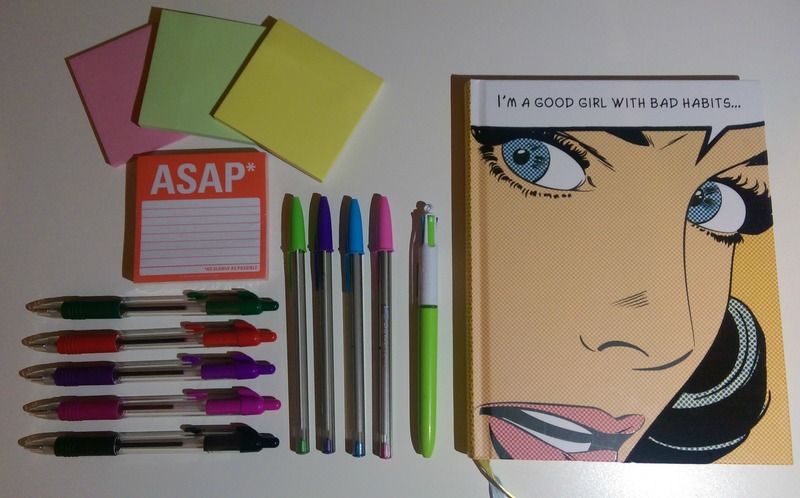 Today I thought why not share with you guys the stationery I love. As you all know I love colourful and cute stationery and as I’m at college as well as a blogger cute stationery is a must! So here’s what I’m loving I’m hoping you love it as much as I do! Colourful Post It Notes // WHSmith. Z – Grip Colourful Pens // WHSmith. Crystal Fashion Pen // Staples. BIC 4 Colour Pen // Ryman. That’s my favourite stationery at the minute. What’s your stationery must have? Comment below.